Organizations - An Aborted Baby. Rev. 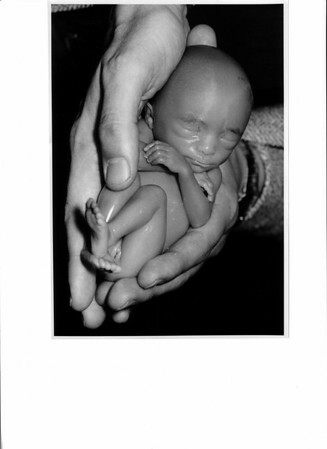 Robert L. Schenck Holds the Aborted Baby. The baby was approximately a 24 week old black girl. Photo - By James Neiss - 4/20/1992.